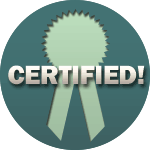 Train the Trainer Advanced Week - Become a Certified Trainer! There’s a difference between training and learning. Train the Trainer Advanced Week demonstrates advanced techniques to make your training materials stand out. The result is engaged participants who are captivated by the synergy between the speaker and the presentation of the material. Train the Trainer Advanced Week takes place in Houston, TX twice every year. Scroll down for upcoming sessions! 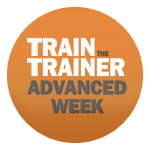 What is Train The Trainer Advanced Week? 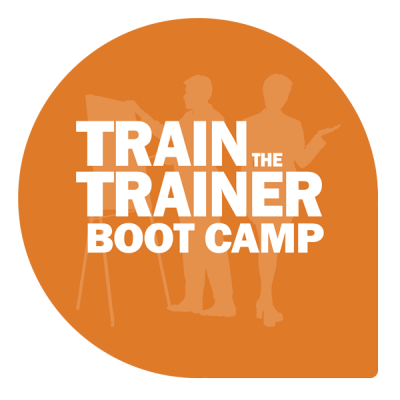 Train the Trainer Advanced Week is designed for Train the Trainer Boot Camp graduates who want to stretch their expertise and master the art of training. 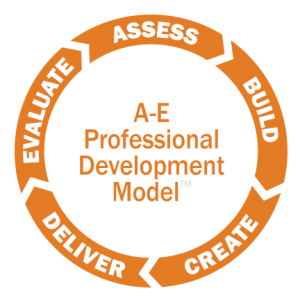 Advanced Week builds on the principles of the A-E Professional Development Model with a focus on their practical application. Train the Trainer Advanced Week is all about building the skills that will help you design highly professional training manuals, presentations, and leader guides. Clear communication is key to connecting with your audience. Advanced Week includes sessions that will improve your speaking and listening skills. You will also learn to host engaging webinars, and use pre- and post-testing to measure your effectiveness and success. During Train the Trainer Advanced Week you will learn visual design practices that will help you significantly improve learning retention and participant engagement. You will master techniques to subtly draw attention to the information you deem most important. You will leave with a mastery of Microsoft PowerPoint and Word and the ability to make stunning presentations and professional training manuals. Advanced Week attendees will also learn communication techniques and alternatives to a classroom environment so they can maximize learning retention. 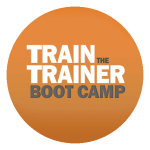 Train the Trainer Advanced Week builds on the solid foundations laid out by the Train the Trainer Boot Camp. 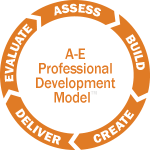 It is built around the A-E Professional Development Model™, developed by Honey Shelton. Honey is a graduate of the School of Bank Marketing from the University of Colorado. She has a certification in Reality Therapy from the William Glasser Institute as well as certification from the Training and Development Program at Texas A&M. Additionally, Honey has over 30 years of experience consulting and presenting at over 600 clients across the country, including banks, credit unions as well as state banking-related associations. She spends time as a faculty member for banking schools and established The Training Institute. 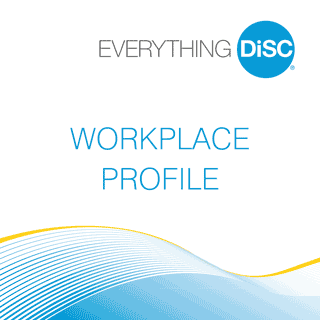 Out of all these experiences and knowledge, Honey created the A-E Professional Development Model™. 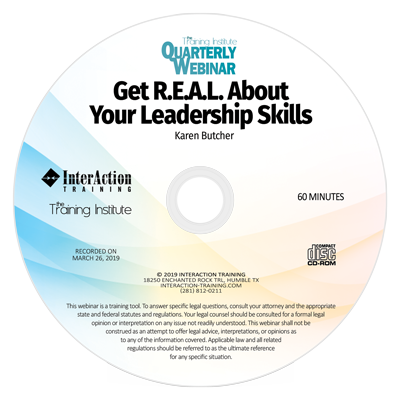 An engaging, learner-friendly model that takes a step-by-step approach to acquiring all the expertise and right tools to become an outstanding trainer and speaker. Honey has 30+ years of experience as a training and quality improvement consultant for banks and banking associations across the country. Nationally recognized as an outstanding speaker, more than a half million bankers have participated in her programs. You will surely enjoy how Honey’s knowledge, enthusiasm and compelling personality elevates your boot camp experience. Janice has been a Senior Training Consultant for InterAction Training for over twenty years. She is a Certified Bank Training Professional (CBTP) and a seasoned presenter that has all the right stuff to wow you. Janice has experience in managing, designing, coordinating and presenting training programs for audiences up to 1000 people. She infuses each training with humor, passion and commitment that make her an invaluable part of our team! Maarten is Director of Marketing and IT at InterAction Training. He has a degree in Mechanical Engineering and Front-End Web Development. His skill-set makes Maarten uniquely qualified to teach you analytical skills, creative design, and technical know-how. Maarten also received an Excellence Award for consistently demonstrating leadership skills and the ability and willingness to help others. It doesn’t take long to see that Honey and her team genuinely care about you and your success. They take the time to understand the subjects that are important to you and make sure to spend time helping you find solutions. Their support doesn’t end when the workshop is complete, they share their contact information and invite you to call them if needed. I can not say enough great things about what I have learned and can easily apply to my everyday role as trainer. I really enjoyed the teaching style in the technical skills training. I can’t wait to use all of it! If you want to step up your training to the next level then you need to attend this training class. You will learn SO much to help make you the best trainer you can be. I went from being an HR professional to VP Training and Retail Support. I don’t think this would have been possible without Train the Trainer Boot Camp and InterAction Training’s comprehensive certification that prepared me for this role. I want to thank you for a creative, informative and fun class. I am learning so many new techniques! Our four day Train the Trainer Advanced Week costs just $1595. This includes an in-depth training manual and four tasty lunches. Members of The Training Institute pay only $1395. Become a member today and immediately enjoy a $200 discount. Other benefits of joining include a 15% discount in InterAction Training's online store. 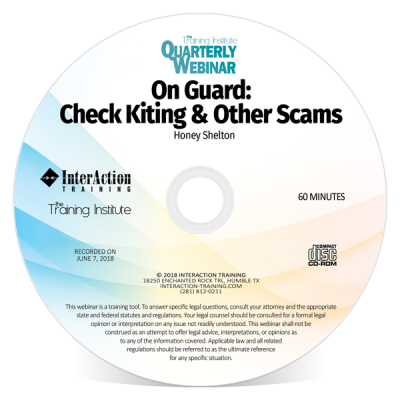 Free access to The Training Institute's quarterly webinars (a $276 value), and up to an additional $600 off if you decide to become a Certified Bank Training Professional or Certified Credit Union Training Professional. 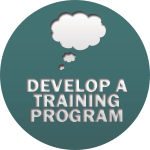 Train The Trainer Advanced Week is part of the Bank or Credit Union Training Professional Certification. 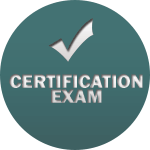 There are 5 steps to become a certified and recognized training professional.